I was busy making a terrific seafood dinner for my best friend, Carmelita and myself in celebration of New Years Eve. 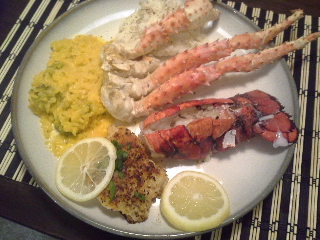 Dinner included lobster tails, potato crusted cod, crab legs, cheesy broccoli rice, garlic mashed potatoes and Caesar salad. I poured a couple glasses of white wine (white hours with chicken and fish, red wines go with meat and red sauces, to enlighten those of you who might not be aware) and we enjoyed an appetizer tray, which included Beechers flag ship cheese from PikesPlace Market, ceviche, salsa, chips, pita chips and shrimp cocktail. A bountiful feast by any measure, and there were only two of us, we had no choice but to engorge ourselves in a food frenzy. We had barely begun to enjoy our appetizers when the phone rang, it was Jen from Surplus Ammo and Arms, calling to let me know that my Rock Island M5 shot gun had arrived. She told me the shop would be closed the rest of the week, meaning, if I didn't go pick it up immediately, I'd have to wait another week. 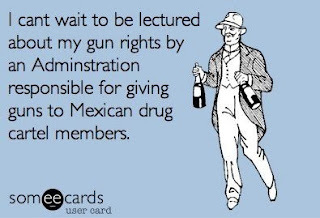 Well, anyone who knows how I feel about my guns knows what I did already, dinner, and my best friend would have to wait. I put my shoes on, gave Carmelita the remote control for the TV and I went on my merry way to pick up my new shot gun. Now Carmelita and I have matching shot guns, and dinner was delicious. Ring in the New Year with Girls with Guns Photo Gallery! Goodbye 2012, we made it through the Mayan Apocalypse! Hello 2013. What better way to welcome in 2013 than with a Girls with Guns photo gallery? Generally speaking, whenever I have the slightest bit of spare money in my pocket, combined with general boredom, usually has the makings of a trip to the local gun shops and pawn shops. Most of the time I just do a little window shopping but occasionally something will catch my eye that I just can't say no to. December 14th was one of those days. I went to work on December 14th, as usual, and also had an appointment with my chiropractor (pure bliss for my lower back). I overheard the receptionists at the chiropractors office sharing some water cooler talk about some sort of shooting that had happened recently. I wasn't really paying particular attention to their conversation, I just caught bits and pieces, my ear catching the keywords; crazy people, shooter, children, school shooting. I continued on with my day, unaware of the tragedy in Newtown, CT. that was just beginning to break on the major news networks. I finished my day at work, not having checked the news and still ignorant of the events. I began my window / possible gun shopping trip immediately after I got off work, my first stop was a local pawn shop called Old Sarge's which I can only assume must have been founded or owned by a retired army Sergeant(?). I've dropped in there occasionally just to see if they have anything that might catch my eye, it's always hit and miss at the pawn shops, but on this particular day, I spotted a decent looking M1 carbine. Meanwhile, playing in the background, the breaking news of the Newtown, CT. school shooting. Of course, the salesman, myself and another shopper began to talk about the ramifications of such a tragic, gun-related massacre, but we had no idea of it's soon-to-be-felt impact on the firearms market, specifically the price spike on "assault" type rifles such as AR15's, AK47's and Mini-14's. The severity of the Newtown school shooting had yet to hit me, I hadn't yet absorbed the specifics of what had just transpired, later in the day and over the next several days, I felt sick, disgusted by such a senseless slaughter of innocent children. But at that particular time, I still wasn't aware of the magnitude of the event. The M1 ended up being a post-war Ivar johnson. I've been wanting to add an M1 carbine and an M1 Garand to my collection and it was looking like today was the day that I would finally acquire my first M1 carbine. We shook hands for the carbine at $749 to put it on layaway and headed over to the cash register. The salesman wrote up my ticket, I gave him a deposit of $200. While he was running my debit card through the machine, the glare of a shiny, stainless steel Ruger Mini-14 caught the corner of my eye. It was not displayed on the wall like all the other firearms, it was just leaning up against the wall behind the cash register. My guess was that it was back there because someone had purchased it or put it on layaway, but I made my inquiry anyway. "Excuse me sir" I asked "I'm guessing that the Ruger Mini-14 isn't available?" The salesman turned and replied "Actually, it hasn't been sold." "Can I have a look at it?" I continued. And oh my, was this ever a gorgeous Mini-14. I hadn't ever seen a stainless steel Mini-14 in person and boy, is it ever a "looker". This one also had a 40 round stainless steel magazine which made the overall presentation even more impressive. I knew right away that I wanted it. I wasn't really all that hot for that particular M1 carbine, so the decision was easy. I simply asked the salesman if he would mind that I just switch out my purchase and transfer my down payment from the M1 carbine, to the Mini-14. The Mini-14 was priced fairly at $699, I didn't even bother to haggle over the price, I just took it. As we all have witnessed, prices of Mini-14's has sky-rocketed since that aweful day, December 14th. A quick scan at GunBroker.com shows that similar Mini-14's are currently going for around $1000. With my reassignment to Korea imminent, I decided to sell my music, DJ and music studio equipment, resulting in my pockets dangerously over-flowing with cash. This influx of cash enabled me to pick-up my stainless steel Ruger Mini-14 today. The salesman couldn't help but comment about how much more money he could have sold the Mini-14 for. My good army buddy Ryan, who has been featured in several of my videos (video 1, video 2) went on a bit of a bender today. He must have been bitten overnight by the mosquito that's going around lately and caught the gun buying fever. Stricken with the fever he went (I acted as his personal driver, firearms store guide and expert) to no fewer than three local gun shops today, making return trips to at least two of them, ultimately purchasing a sick and powerful Taurus .44 Magnum revolver from The Marksman in Puyallup, Wa. but also his first ever 1911, a Remington R1 1911 in an eye-catching OD Green and black color scheme with beautiful rosewood grips from my all-time favorite local gun shop, Surplus Ammo and Arms in Lakewood, Wa. I can't give high enough praise to the outstanding customer service that I continue to receive, visit after visit to Surplus Ammo and Arms. Chester, Aaron and Jen (who works in the back of the house and handles all of my transfers) always go out of their way to take care of their customers, specifically, me. Today for example, I escorted Ryan into the shop and the Remington R1 really jumped out at him. He has made up his mind to pruchase it but did not have a copy of his official army orders on him which assign him here to Fort Lewis. A copy of his military ID and his orders are needed to establish residency in Washington state, a requirement for handgun purchases. I politely asked if they would hold the Remington until we could make the trip back to Ryan's apartment to get said copy of his orders, sure enough, Aaron was more than happy to oblige. He threw in a "we don't normally do this, but for you Felix, you're such a good customer, awesome guy, you're the best." I'm paraphrasing and embellishing but essentially, that's what he said. So that was nice. When we came back I spoke to Jen to let her know that my Rock Island M5 shotgun had been shipped and would be delivered around the 31st and I also notified her of another impending transfer (the Ruger SP101). She mentioned that they would temporarily be suspending transfers because the store would be moving to a new location soon, but that because it was me and I'm "such an awesome guy, the best customer ever" again I'm paraphrasing, they would be happy to take care of my transfer. Thanks again Surplus Ammo and Arms, you guys are the best. I'm taking Jen one of my Guns are Fun T-shirts tomorrow as a thank you. Along the way, we stopped by the local pawn shop where I have a Ruger mini-14 on layaway. I had purchased it the same day as the tragedy in Newtown, CT. In fact, I was in the store as the story was breaking. Prices on all rifles such as the mini-14 rose significantly in the days and weeks since then, so I was fortunate in that I purchased it before then price spike. I'll most likely pick it up on the 2nd of January, so look for some initial photos. Speaking of layaways, Ryan put his Taurus on layaway. In a good example of why it pays to be patient and shop around. Ryan had spotted the Taurus .44 Magnum in the third shop that we visited today, but it was used and had seen it's better days. That particular store, Bullseye in downtown Tacoma, Wa. was not offering layaways for the time being and so, Ryan passed on the purchase given that it was a used Taurus and he couldn't lay it away. 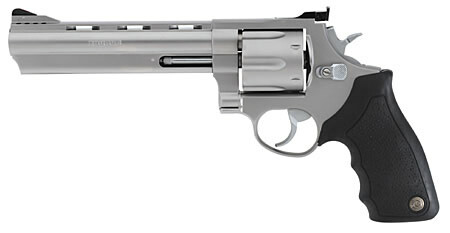 So we went back to gun shop number two, low and behold, they had the same exact Taurus .44 magnum revolver but it was brand spanking new and was priced only 40 dollars more than the used one that was in the previous shop and The Marksman took layaway. Done deal, he bought it. All in all it was a fun day of gun shopping. It's safe to say that Carmelita isn't a fan of large caliber rifles, heck, even intermediate cartridges for that matter. After putting ten rounds down range through the SKS, she'd had enough (or at least her shoulder did) and threw in the towel. She's much more comfortable with a shotgun or handgun, and that's perfectly ok. We all have our preferences don't we? Except for me, I like 'em all. We're planning another trip to the range on Jan. 6th, you can expect more videos! Enjoy this third and final video from the "Best Friends Shoot..." video series. Don't forget, T-Shirts are now available, show your support for the 2nd Amendment - Buy Your T-Shirt Now! An Excellent Read, This Guy is a PhD! Published in Forbes. I hope Santa brings you everything you wished for this year. Here is my gift to you, some Girls with Guns! Look for another post on New Years! 'Tis definitely the season to be jolly, especially now that my Kimber Pro Carry II .40 caliber is finally, at long last, after much grief and anxiety, finally working flawlessly. I purchased the Kimber almost the moment I stepped foot back in the United States after my deployment to Kuwait, and have been having problems with it ever since, that is, until today. I was extremely close to making up my mind to sell the darn thing, especially after my last trip to the range which resulted in a failure to feed with each and every magazine, even after I had the feed ramp polished at the gun smith. I took my attempts to fix the problem a step further two weeks ago when I purchased a new recoil spring, but when I disassembled the Kimber to replace the spring, I noticed that the new spring I purchased was much longer than the one that was on the Kimber. I figured I had bought the wrong size spring, so I took it back. I went online and found a new recoil spring (it came bundled with a new firing pin spring) and there was no room for error as this was absolutely the correct spring, yet, when I disassembled the spring, again the new spring was longer. I deduced then, what I had previously suspected but dismissed, that the spring that was installed on my Kimber when I bought it was the wrong size. It had to be. And sure enough, as you see in the video, when I took it out to the range today, it functioned flawlessly! I put three different kinds of ammunition through it, not one single problem. Prior to replacing the recoil spring, I had decided to put grips on the Kimber that matched it's rebellious, troublesome attitude. You can see the new grips in the photos below. 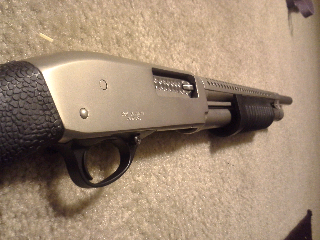 Here is the link to the seller on GunBroker.com that I ordered the grips from - Click here. 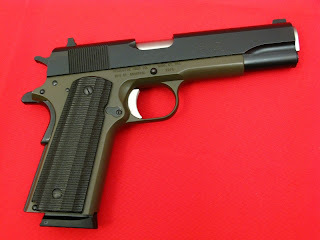 I view my Kimber Pro Carry II chambered in .40 caliber as sort of my problem child, a troubled teenager if you will. I have had problems with it from the moment I first purchased it at my favorite local gun store. But, alas, I love it too much to let it go. I've made up my mind that one way or another, I'm going to keep fixing it until it's totally reliable. I recently took it to a local gun smith to have the feed ramp polished, thinking that was the problem. But as you'll see in the video, the slide wasn't always going all the way forward. You'll see that a few times, I had to take the palm of my hand and tap the back of the slide to get it to move all the way forward. Since this video, I have replaced the recoil spring and the trigger spring, but have not yet been out to the range to test fire it again. I am almost 100% sure that the recoil spring is the problem. I purchased a recoil spring a few weeks ago, with the intention of changing it, but when I took the recoil spring assembly apart I noticed that the recoil spring installed on my Kimber was much shorter than the one I had purchased. Thinking that I had purchased the incorrect size, I took the new spring back. But then, last week, I ordered another new recoil spring from Brownell's, and I know for a fact that I purchased the correct size. 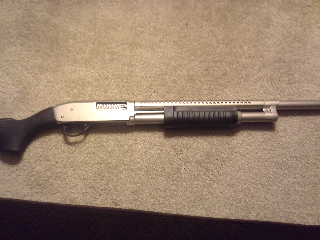 But again, it was not the same size as the one that came with my Kimber. My theory is that the spring that was on my Kimber when I purchased it is not the correct size. I think whoever owned the gun before me changed the recoil spring and installed the wrong size. 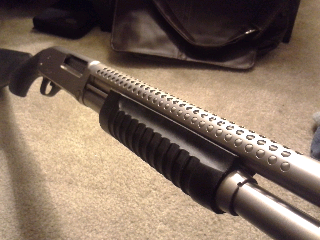 I'm pretty sure that the old spring was for a Kimber Ultra series. 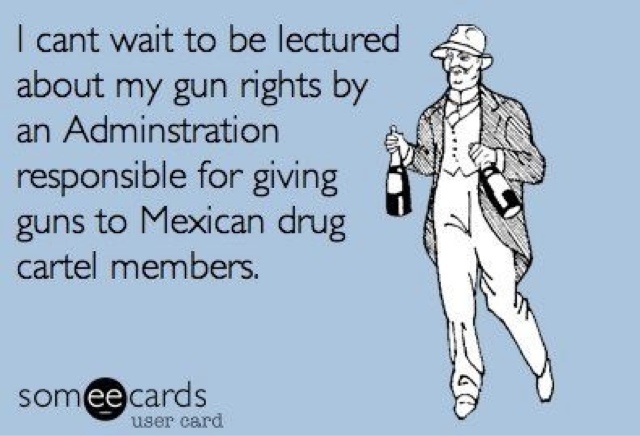 I'm very much looking forward to going to the range and putting some rounds through it with the new spring. Even just manipulating the slide at home, I can tell a big difference in the amount of tension. Stay tuned for the next video to see what happens. Very clever video, grilling bacon on the hot barrel of an AK47. Funny stuff from EasyBakeGunClub.com. The Sig Sauer is a prime example of why I appreciate firearms design as works of art. It's two-tone color scheme, matched with burled maple grips give it a one-of-a-kind look that's hard to beat aesthetically. This pistol sits alone above my fireplace in the "kings throne" of my displays. 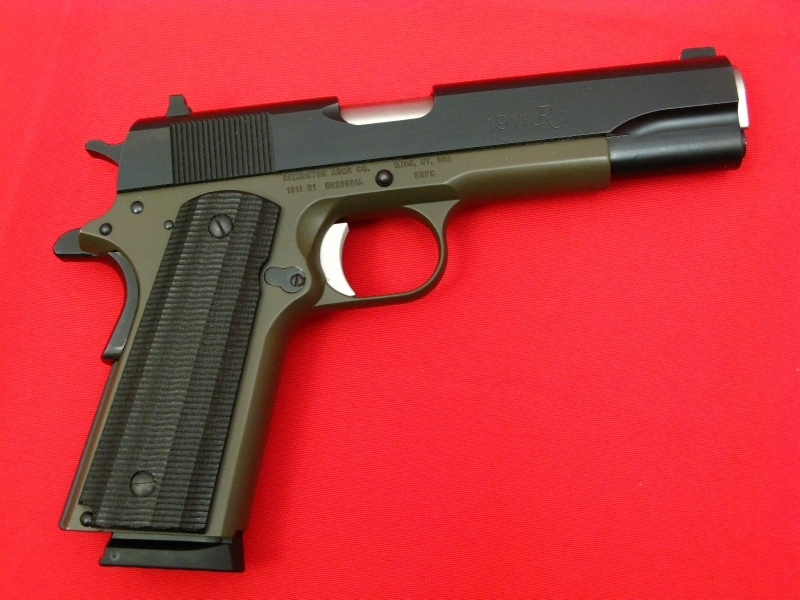 If this 1911 were an actor it'd be Brad Pitt. Handsome, chiseled, the best of the best. I don't like to write too much about the specifications of each of my firearms, it's all too easy to do a Google search for that stuff, besides, I'd just be copy and pasting anyway. But what I do like to do is do my best to express exactly what it is about each of my firearms that I appreciate most, and with the Sig Sauer 1911 STX, it's simply the looks. Pay close attention to the slick, two-tone design on the top of the slide. Woah, way cool! Despite the on set of winter weather in Washington (it actually snowed a little while we were at the shotgun range) I had a fabulous time at the range with my best friend Carmelita. We spent her birthday shooting all kinds of guns, including her own Walther P22. I had previously owned a P22 but sold it after experiencing numerous failures to feed and extract, however, we experienced none of these problems with Carmelita's P22. Maybe I'll get another one? We also shot my Smith and Wesson M and P 9mm with a nickel boron slide and my Kimber Pro Carry II chambered in 9mm, which is Carmelita's all-time favorite pistol. In the next part of this video series, you'll see the results of the gunsmith work I had done to my Kimber Pro Carry II chambered in .40 caliber. The results are not good. And in the final part of this video we hit the rifle range. Very sarcastic yet so true. My good friend Michelle sent me this image. Thanks Michelle! The Springfield 1911-A1 was my very first 1911, I don't think I could have made a better choice for my very first 1911 in this price range. I think I paid 800-850. I like it's clean, classic all-stainless steel look. I love the color of the grips too. As for shooting, it's among the most accurate pistols in my entire collection. More often than not, it is chosen as the favorite among friends I take out shooting. 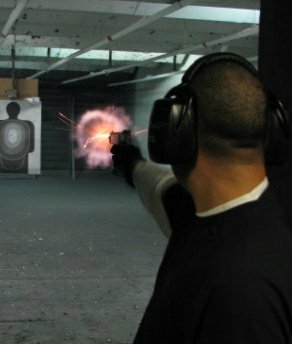 The .45 caliber is surprisingly easy to control, due in part to the heft of the pistol itself. It feels perfect in my hand and it's a pleasure to shoot!